Equip your students, grades 7-9, with the basic life skills they'll need! This updated, 7th edition provides a hands-on approach to personal development, relationship skills, managing resources, food and nutrition, clothing, housing, and more. Special feature strands throughout the text maximize student learning. Try It Out features encourage students to use their problem-solving skills. Safety First provides students with safety tips that relate to chapter content. Making a Difference features suggest ways that students can make a difference within their families, schools, or communities. How-To features offer students practical, usable information designed to enhance the development of life skills. Take Note extends text information and highlights key topics. Career Network pages offer students insight into the world of work within the various career clusters. Linking School to Career activities help students explore careers of interest. 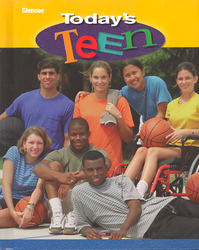 Comprehensive program for grades 7-9 emphasizes practical skills today's teens need. Students learn necessary skills from an upbeat, reader-friendly text. Encourages practical, hands-on learning. Students become engaged, active learners. Offers flexible course organization so teachers can choose Units/Chapters in any sequence to fit course needs.